And while all types of bloat feel awful, there are actually two different kinds: gas bloat and water bloat. The gassy kind of bloat makes you unbutton your jeans after eating certain foods—often beans, dairy, cruciferous veggies like broccoli or cauliflower, or greasy foods. 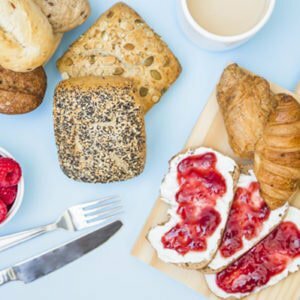 “But we’re all very different, and some foods that might trigger gas for one person don’t for another,” says nutritionist Jessica Cording. Water-retaining bloat makes you feel like the Michelin Man—puffy all over. It’s triggered by hormonal changes during your menstrual cycle, dehydration, or eating lots of salty foods and not enough potassium and water. 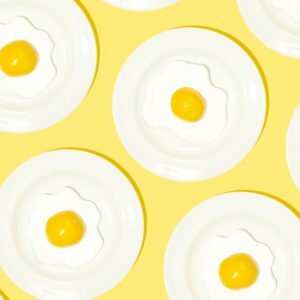 No matter the bloating culprit, the good news is that you can get back on track fast by loading up on these 12 nutritionist-backed noms. Yogurt is packed with probiotics—good bacteria that populate your GI tract to support a healthy digestive process and calm inflammation. 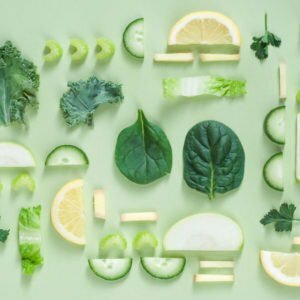 “Probiotics are an important piece in the big picture of gut health, especially when you’ve got bloating and gas,” says Cording. Go Greek to bump up the protein to 20 grams while lowering the carb count, and enjoy it as dessert with some fresh fruit like grapefruit slices or blueberries. Can’t digest yogurt because of the lactose? Try kefir, suggests Cording. “It’s 99 percent lactose free and has a greater variety of probiotic bacteria,” she says. Per 200-gram serving Greek yogurt: 610 kilojoules, 4 g fat (2.5 g sat fat), 68 mg sodium, 8 g carbohydrates, 7 g of sugar, 0 g fibre, 20 g protein. One of the oldest herbal medicines around, ginger’s anti-inflammatory properties work wonders on bloat and gas. 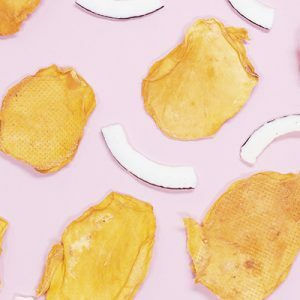 “Ginger contains a digestive enzyme called zingibain, which helps the body break down protein,” says Tara Coleman, a clinical nutritionist in San Diego. 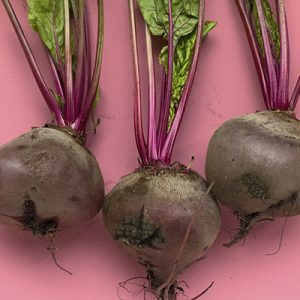 “It also has a nice relaxing effect on your intestines, reducing inflammation in your colon, which helps the food you eat pass through your system more easily, and in turn, reduce the bloat and gas you experience,” says Kristin Kirkpatrick, wellness manager at the Cleveland Clinic Wellness Institute. Enjoy it in a warm cup of homemade tea to sip on it before, during, or after a meal. Per 1 tsp fresh ginger: 8 kilojoules, 0.01 g fat (0 g sat fat), 0 mg sodium, 0.4 g carbohydrates, 0.03 g of sugar, 0 g fibre, 0.04 g protein. Fennel is a natural diuretic that can also help banish intestinal gas (a.k.a. it works on both types of bloating). “The compounds anethole, fenchone, and estragole in fennel seeds have antispasmodic and anti-inflammatory properties that relax intestinal muscle and allow trapped gas to dissipate,” says Coleman. While you can add the seeds to a cup of tea, Cording says you can also add a cup of sliced fennel bulb into your salad to add a little extra fibre to help you fill up and feel satisfied for longer. Per 1 cup sliced fennel bulb: 112 kilojoules, 0.2 g fat (0 g sat fat), 45 mg sodium, 6 g carbohydrates, 3 g of sugar, 3 g fibre, 1 g protein. Potassium is the main reason this low-maintenance food helps with bloat. “Part of what causes your body to retain water is you’ve eaten too much sodium,” says Cording. “Potassium-rich foods help flush out sodium and water.” She says that while eating one banana won’t magically cure bloat, eating potassium-rich foods like bananas throughout the day will help reduce bloat. Per medium banana: 439 kilojoules, 0.4 g fat (0 g sat fat), 1 mg sodium, 27 g carbohydrates, 14 g of sugar, 3 g fibre, 1 g protein. Yep, the old lemon water trick actually works. Lemon juice is very similar in acidity to the stomach’s digestive juices (yum!) says Coleman, so it can help relieve bloating and other symptoms of indigestion. By drinking lemon juice on the reg, you’re doubling down on hydration plus getting acids to help your GI tract move things along faster. Per ounce of lemon juice: 29 kilojoules, 0.1 g fat (0 g sat fat), 1 mg sodium, 2 g carbohydrates, 1 g of sugar, 0.1 g fibre, 0.1 g protein. Cantaloupe also has more potassium than other melons, which helps your body flush out any excess sodium and water it’s holding onto, says Cording. Per cup of cubed cantaloupe: 225 kilojoules, 0.3 g fat (0 g sat fat), 25 mg sodium, 13 g carbohydrates, 13 g of sugar, 2 g fibre, 1 g protein. If you’re on a low-carb diet like keto, avocados are an excellent source of bloat-reducing potassium and antioxidants for just six carbs—a quarter what you’d get in a banana. “After an indulgent weekend, people think you need to starve it out on celery and lettuce, but avocados are a nutrient-rich food that will help you feel satisfied so you’re not hangry when you’re trying to get back on track,” says Cording. Per 1/3 fruit: 443 kilojoules, 10 g fat (1 g sat fat), 5 mg sodium, 6 g carbohydrates, 0.4 g of sugar, 4 g fibre, 1 g protein. Another potassium-pumped food, winter squash like pureed pumpkin also serve up a hefty dose of fibre to help get things moving through your digestive tract—which helps with bloating and gas. You’ll also get a whopping 14,000 IU of vitamin A to help soothe inflammation, adds Cording. Per half cup of puree: 209 kilojoules, 0 g fat (0 g sat fat), 10 mg sodium, 11 g carbohydrates, 4 g of sugar, 4 g fibre, 2 g protein. “Cucumber contains lots of water to help keep you hydrated,” says Cording, which is great for helping to clear out excess water from your cells and gas from your GI tract. What’s more, cucumbers contain sulfur and silicon, which act as a mild natural diuretic that makes you pee. They’re also a good way to get your GI tract moving minus the gassy factor of cruciferous veggies. Per 1/2 cup slices: 33 kilojoules, 0.06 g fat (0 g sat fat), 1 mg sodium, 2 g carbohydrates, 1 g of sugar, 0.3 g fibre, 0.3 g protein. The amino acid asparagine in asparagus is another known diuretic that helps reduce water retention. “Asparagus also contains prebiotic fibre, which are good to nourish the probiotics in your gut and keep your digestive tract running,” says Cording. Per 1 cup serving (raw): 27 calories, 0.3 g fat (0 g sat fat), 0 mg sodium, 5 g carbohydrates, 3 g of sugar, 3 g fiber, 3 g protein. These powerful little fruits contain another enzyme, actinidin, that helps speed digestion, says Cording. Just two kiwis are also an excellent source of bloat-beating potassium and fiber—all for just 112 kilojoules. Per 2 whole kiwis: 112 kilojoules, 1 g fat (0 g sat fat), 0 mg sodium, 22 g carbohydrates, 13 g of sugar, 4 g fibre, 2 g protein. The papain in papayas is yet another enzyme that helps break down the foods you eat and fight inflammation. “You can buy papain in supplement form. It’s very effective for soothing digestive process, especially during the menstrual cycle,” says Cording. You’ll also get fibre along with a healthy dose of the anti-inflammatory vitamin A. Just keep a serving to one cup, adds Cording, since the high amount of fructose can sometimes be rough on your GI system. Per 1 cup pieces: 259 kilojoules, 0.4 g fat (0.1 g sat fat), 12 mg sodium, 16 g carbohydrates, 11 g of sugar, 3 g fibre, 0.7 g protein.